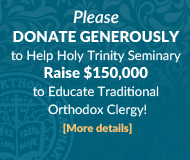 Truly, these age-old holy words, which we exchange with one another at the time of the Pascha of the Lord, resonate with great joy in the hearts of Orthodox believers. Those radiant, astonishing sensations which the Christian soul experiences on the night of Pascha are like a reflection of heavenly joy sent to us by the Lord. These joyous feelings inspire us during the blessed hours when we hear the greetings of the clergy, the chanting of the church choirs, and the beautiful paschal pealing of the bells summoning us to share in the common “feast of feasts.” We see in the wonderfully decorated church the kindly and reverent faces of those gathered to pray, and with them we receive the communion of the Holy Mysteries of Christ. With gladness of heart we experience the boldness of faith; for the Lord has united us all in His glorious victory over sin and the powers of hades, the victory He won by His Resurrection. The Resurrection of Christ is an undoubted, historical fact confirmed precisely, reliably and fully by the Gospels, those unique first century documents. More than twenty years after the Resurrection, the Apostle Paul bore witness of the risen Christ: “After that, He was seen of above five hundred brethren at once; of whom the greater part remain unto this present, but some are fallen asleep” (l Cor. 15: 6). This means that the majority of those witnesses, who with their own eyes beheld Christ, Who had risen on the third day, were still alive at that time, and were able to confirm the reality of that miracle to anyone who doubted it. Thanks to their life, struggles and preaching Christianity spread throughout the whole world. During Bright Week, after the conclusion of the Divine Liturgy, the Church daily invites us to join together in procession. The hymn, “Having beheld the Resurrection of Christ” is chanted repeatedly in the churches on those days. It summons us to enter into the world and proclaim the truth of this greatest of miracles, no so much, of course, in word, as by good example, deeds and life, just as did those who beheld Christ with their own eyes. 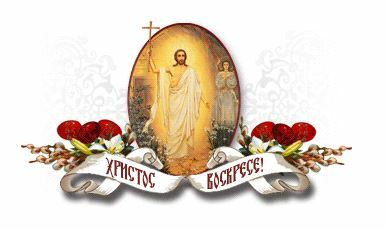 From the depths of my heart I greet you, the archpastors, clergy, monastics, parish sisterhoods, all who labor in our churches, our dear parishioners, worshippers and fellow countrymen, with the great feast of the splendid Resurrection of Christ. I give voice to my own heartfelt desire that the risen Lord, Who loves mankind, will, in the midst of our sorrows and temptations, renew us all with the joy of His life-bearing Resurrection, support faith and piety within us, and illumine us with trust in the coming, eternal celebration “on the never-waning day of His kingdom.” Amen.